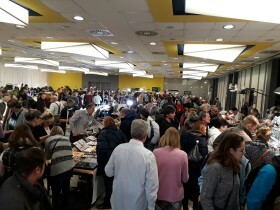 September 6 to 7, 2019, Fairground PVA EXPO PRAHA, opening hours: Friday 10 a.m. – 6 p.m. | Saturday 10 a.m. – 5 p.m.
For specialist dealers already on Thursday 5 from 4 p.m. to 7 p.m. and on Friday 6 from 9 a.m.
Register on-line and get your ticket, plus a collector´s gift, for just 1 CZK (approx. 0,035 €)! You can mention multiple options. Buy your ticket to the event on the web from the comfort of your home! There are two benefits – you will pay only CZK 1 for the ticket (it is EUR 3 when you buy it at the gate to the exhibition site) and you will also get a collector´s minicalendar for 2017, with a picture of the post stamp issued by the Czech Post, as a present. The minicalendar is not sold anywhere and you can get it only at the “Sberatel / Collector” fair. To accomplish your registration, fill a simple form you will then receive an e-mail confirming your registration. You will print it and exchange it for a regular ticket and the gift at the box office. We are looking forward to meeting you! 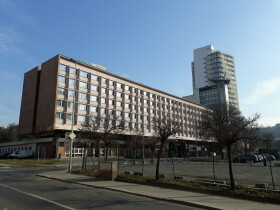 The 4-star Hotel Olympik, which also includes the congress section, is one of the few sights on the planned Summer Olympics in Prague in 1980. At the Invalidovna Metro Station you will find a number of interesting sculptures and references to the architecture of the 1960s. 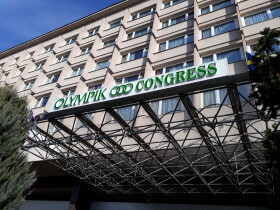 Hotel Olympik Congress hosted an exhibition that was part of the World Exhibition of Postage Stamps Praga 2018. 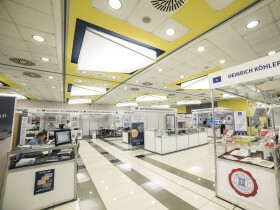 Twice a year, the Geosvet / Geoworld Fair of Minerals and Precious Stones is held at the hotel. 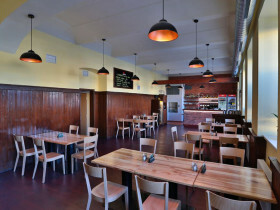 A few dozen meters from Hotel Olympik you will find the restaurant "Husinec u chcípáka" with a wide range of dishes and excellent Pilsner Urquell beer. 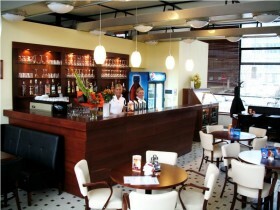 Pizzeria Amfora Invalidovna is located on the ground floor of Expo House 58 a few meters from Invalidovna Metro Station.